Budget 2018: the chancellor announced changes to taxing gains made by non-residents on UK immovable property, confirming that non-resident CGT will be extended to disposals of all UK land and to UK property rich companies. Non-Resident CGT (NRCGT) will apply to all direct disposals of UK land and property, not just residential property. It will also apply to indirect disposals by those holding 25% or more of an entity which derives 75% or more of its gross asset value from UK land ('UK property rich'). 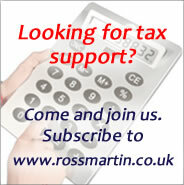 All non-UK resident companies will be liable to Corporation Tax rather than CGT on gains.